Being a magician, my job is to amaze you and remind you of your need to wonder. As children we keep wondering. We don’t understand the things around us and we wonder about them. We feel great about that. We are curious and full of hunger to know, to swallow it all. The motivating power is … wonder. Wonder is the force that sweeps scientists and artists to look for answers, the match that lit people such as Newton, Aristotle, Da Vinci and Einstein, the ship that carried them in their journeys and quests thru to their amazing discoveries and creations. Curiosity is a result of wonder. When we are children, the world astounds us at every corner and we feel we must examine and understand it all. Even fear doesn’t draw children away from experimenting and figuring out the ways and means that make things work the way they do. Wonder allows us to discover our freedom and how far we will be able to go. In contrast, our FAILURES teach us our limitations and the rules… and when we understand and accept them…then we grow up. and more importantly, the more we sink into the grey routine ordinary same-as-yesterday world, we forget to do the natural, basic, fundamental action that could wake us up and give us back more happiness, freedom, youth and joy. We forget to wonder. So, here I am to remind you! WONDER! As a magician, the better I do my job, the more the audience losses its grasp of reality, experience more magic and become happier. The more I charm them, the deeper they want to experience wonder. Yes, it is true that some people, when presented with magic, get angry and don’t want to join the ride. Why? They were not willing to experience magic to begin with. They are too busy holding on to the world as steady as possible and they get angry when people imply that the world or anything in it could ever be changed. Try asking such a person: \”What would you lose if you allowed yourself to believe the world was a bit less solid?\” You will be surprised at their answers. Have you ever seen the happiness of an adult who has been brought to wonder? I am referring to the moment when he declares to himself that he has just encountered some force or power that is beyond the limits of what he was willing to accept in existence, something that contradicts the known and recognized cause-and-effect nature of the universe, that there are possibly new layers to the truth that need to be exposed, new \”Secrets\” to know. As I was watching my audiences and after many tries I concluded that in order to lead them to wonder, I would have to play a game WITH them, not against them. I have to play WITH them, AGAINST their logical analysis and reasoning, by letting them realize that their skepticism is the barrier they must overcome in order to get to the wonder and happiness that exists at the other side. They must escape from the deluding comfort of the logical shelter they normally stay in. They must surrender logic in order to gain that refreshing youthful breeze of wonder. The spectator (voluntary journey participant) must go through the process of eliminating all possible solutions in order to find the rainbow – the gates of wonder – because if the journey is incomplete this spectator will go back home and the next time you try, it will be harder to move him out of it. If I don’t get him there today, his day will remain gray and the claws of his skeptic reasoning will demand their normal, routine and boring place exclaiming: I am the ruler of this world and no one can doubt my known and accepted rules! I am in control once again! The enemy of wonder is none other than the part of logic that believes it is controlling the universe while in actual fact… it has no real grasp of it. This pretended logic is in fact a white flag declaring the complete and utter surrender of any spirituality, to the physical laws and barriers of mother-nature. The happiness that is embedded in true wonder is true and deep and it can revive a man\’s childhood, youth and sense of freedom. Wonder, to me, is the challenging of the free spirit against all the agreed upon barriers. As a magician, my job is to think a few steps ahead of my audiences and the society I live in. When I do magic, the purpose of the game is to create wonder. 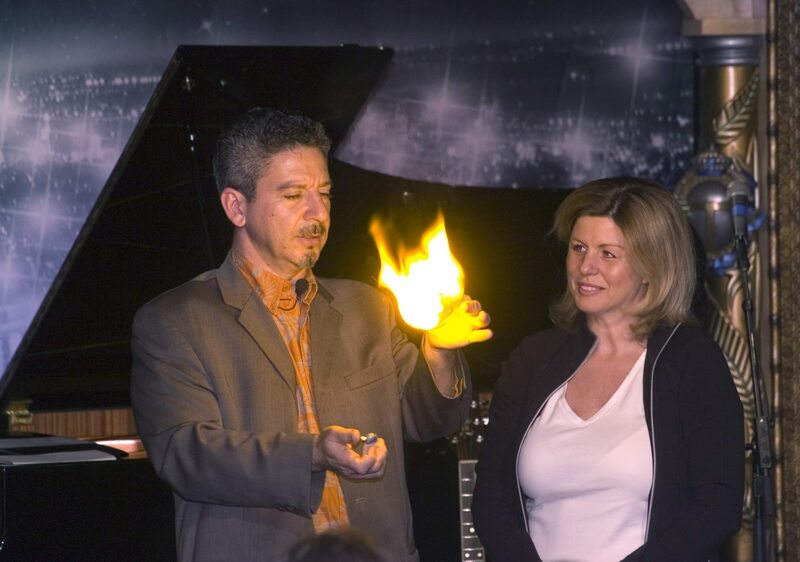 Ori’s shows combine the art of Magic with the science of Happiness leaving audiences thrilled, laughing and amazed. A truely magical entertainment for events! Private and Corporate events, trade show promotions, conferences, wedding anniversary partys, bar and bat mitzvah celebrations turn into wonder-filled events that people remember with joy and excitement. don’t be surprised you keep being surprised!